BOTH NEW ENGINES FROM 2015!!! _ The A/C (45 000 btu) - central ice water system - is revertible but the pajo is equipped with electric heaters too. Impressive FOUNTAINE PAJOT SUMMERLAND 40 with both new engines and inverters from 2015. _A/C or heating system plus electric heating. 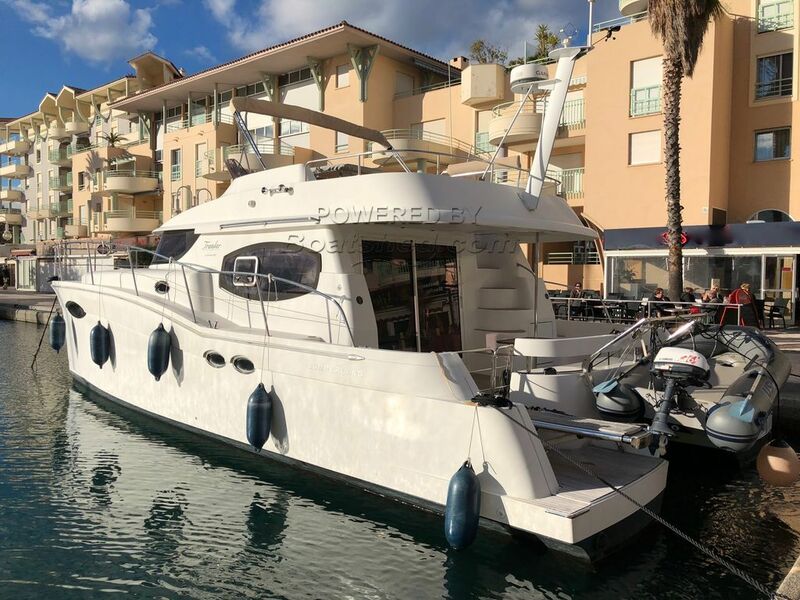 This pre-owned Power Catamaran FOUNTAINE PAJOT SUMMERLAND 40 for sale is a recent Trawler-type of boat, owner’s version. The FOUNTAINE PAJOT SUMMERLAND 40 catamaran is a motor-yacht, with very low consumption. It also means stability, security, comfort and autonomy, in addition to its excellent performance at sea. Its twin engines provide easy manoeuvrability. - To starboard with a superb Owner’s cabin, with a transversal bed with sea view, large storage space, a vanity desk and a private bathroom. - And to port, two beautiful guest cabins with double or twin beds, a bathroom and storage space provided for beautiful cruises. This used FOUNTAINE PAJOT SUMMERLAND 40 for sale, is a great opportunity to acquire a spacious trawler - catamaran owner’s version. It is in a condition close to a new 40 Summerland. Extremely well equipped with air conditioning, it will bring you all the comfort for beautiful navigations. This FOUNTAINE PAJOT SUMMERLAND 40 power catamaran is a very good deal, ready to sail. This Fountaine Pajot SUMMERLAND 40 has been personally photographed and viewed by Antoine Perrin Daragon of Boatshed Riviera. Click here for contact details.